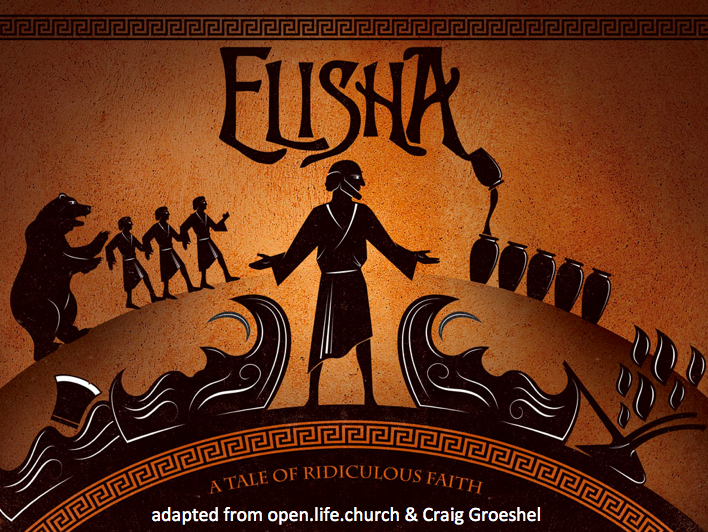 Sunday Rewind for May 14: Elisha, Part 2 - Growing in Christ. Does it work? We ask this question all the time. Will this new diet or exercise routine actually work for me? Will this phone plan work for our family? Will this computer work for my needs? Can we say our faith works? We all want a faith that works, right? We want our beliefs to be effective, to matter, to lead me to the place I was destined to be. We want to see God act. As a Jesus follower, real faith is a faith that works! Ahh, but now we need to read that statement differently. Saving faith is more than a head knowledge or a heart inclination; real faith acts. We need a faith that works. James 2:17 says, “So you see, faith by itself isn’t enough. Unless it produces good deeds, it is dead and useless.” We actually see our faith when we put it into action. A faith that works becomes a faith that is seen. As we continue our message series on Elisha: A Tale of Ridiculous Faith, we’ll see that faith that works (seeing God act) often begins by God asking us to act (faith that works). Special thanks and credit go to Craig Groeshel and open.life.church for this message series. I need a miracle! Sometimes we have an unmet need that drives us to seek and depend on God. Don’t lose heart, our greatest need becomes our greatest blessing when it leads us to depend on God. However, as we read 2 Kings 3:9-20, we see that God wants us to join in the effort. Sometimes God wants to see our faith (a faith that works) before God shows His faithfulness. Or as the three kings learned through Elisha: Only God can provide the water, but sometimes God wants us to dig the ditches. I invite you to listen to our May 14, 2017 message at Christ UMC: Elisha, Part 2. God could be more eager to move in your life than you realize. Maybe God is just waiting on you to start digging your ditches. How have you experienced God recently in your life? Describe a time when great need drove you to depend on God. How was it a blessing? Read 2 Kings 3:9-20. Why do you think people who don’t typically believe in God seek out God when things get difficult? How do you think the kings felt about digging ditches? What are some “ditches” you have dug to allow God to provide water in the form of a miracle? In what ways have you experienced God’s faithfulness? What’s one big dream for your life that you need God’s help to accomplish? What ditch might God want you to start digging today to turn that dream into a reality? What’s your first step to digging the ditch God desires from you? or… What NEXT STEP with Jesus might you need to take? How can Christ Church help?